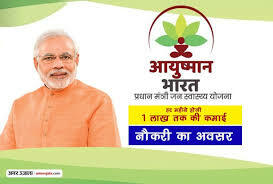 As on 06.02.2019, the number of beneficiaries hospitalized under Pradhan Mantri Jan Arogya Yojana (PMJAY) is 10,94,254, according to a latest official update. As on 06.02.2019, the total number of hospitals empaneled under PMJAY is 14,728, of these, 7299 are private hospitals. Hospital empanelment guidelines have been issued to all the States laying down the detailed criteria and process. No such restriction has been placed under these guidelines. As PMJAY is being implemented through State/UT, the process relating to empanelment of the hospitals is being done by the State Health Agency of the State concerned depending on its specific requirements. All public hospitals (Community Health Centre and above) in the States implementing PMJAY are deemed empanelled for the scheme. All National Institutes run by Ministry of Health & Family Welfare as well as Institutes of National Importance are part of the empanelled healthcare provider network for PMJAY. As far as private hospitals are concerned, they are empanelled by the State Health Agency of the State concerned based on defined criteria and hospital empanelment guidelines.